It is simply NOT true that you have to use olive oil to roast peppers. 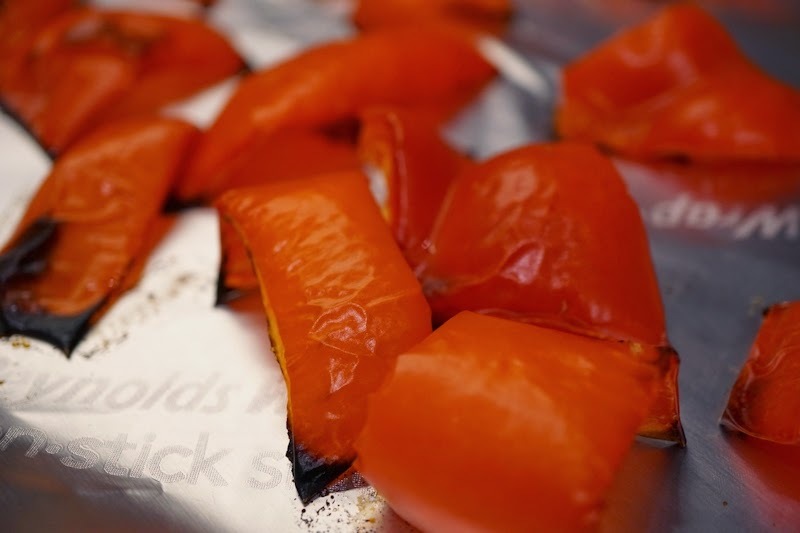 I simply lay my red bell pepper pieces on Reynolds Non-Stick Foil and roast for 15 minutes in my toaster over on 400 degrees. Then, I freeze 1/2 cup baggies of them so they're ready when we want to make Cashew Queso!